What is the "booking journey?" What we refer to as the "booking journey" is the process that a customer to your site sees and is involved with when they want to make a booking. Your website contains all of the information about your products and services that are provided to the customer. For more details, please visit the Page Editor help page. The booking page contains all of the various options and details about what the customer is about to book onto. Any FAQs that are linked to this product. Most of the settings for this page are controlled by the Product Settings. 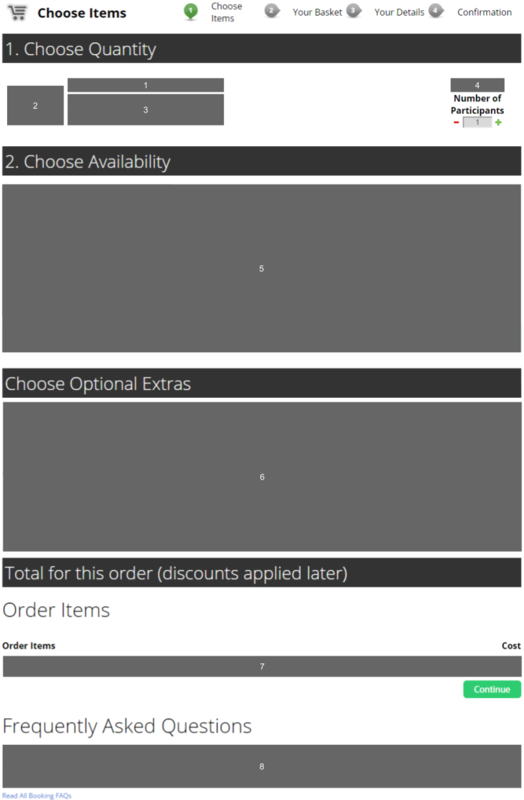 The Basket Page shows the customer the current contents of their order, and applies any discounts that are applicable based upon the current basket contents. If there are any Promotions that are applicable, these will be displayed between setions 2 and 3. Before the customer can make a payment, they must first provide their email address. If this is the customer's first visit to the site, then they will progress onto the next page. If they have already made an order on this booking system, then they are asked to log in with their account, so their details will be provided on the Billing Page. For more details, please visit the MyAccount help page. 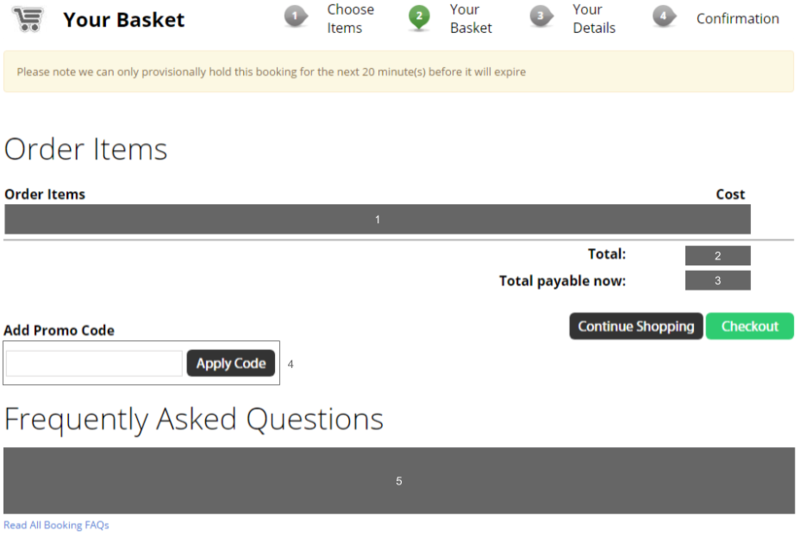 The Billing Page is where the Booking Forms are presented to the customer. If the product can be paid for with Child Care Vocuhers, customers can redeem their vouchers here. The billing admin page or payment gateway is where the payment is taken from the customer to complete the booking transaction. The billing admin page is only available to Administrators, which allows you to make modifications to the payments and such. Customers will generally be passed to the relevant Payment Gateway to process the payments. For more details, please visit the Finances help page. 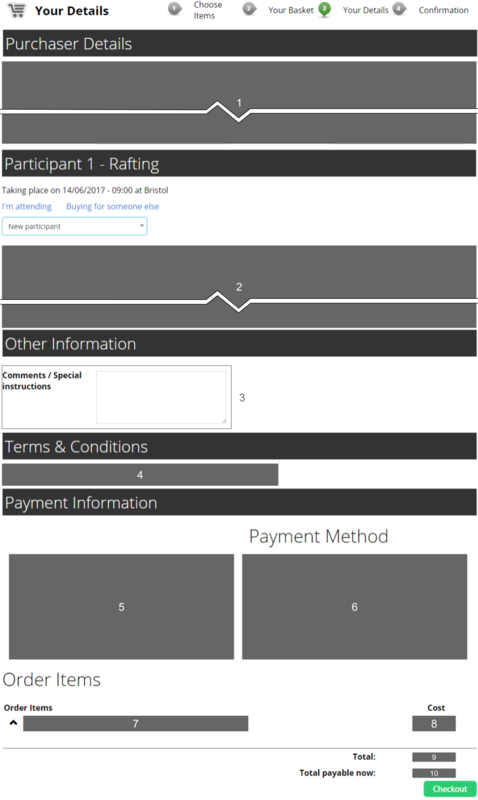 The confirmation screen lets the customer know that the payment and booking have been processed successfully and provides a prinatable confirmation sheet.